At the time there were concerns that this would not happen, as the cost of rail transport from Wales to Keighley was more that the purchase price. 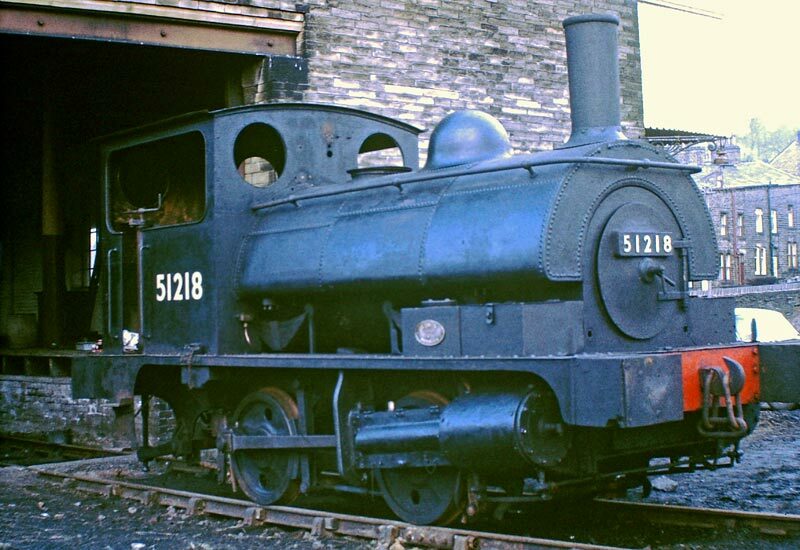 However the private owner of the recently-established museum at Bleadon and Uphill station (he had purchased GWR 0-4-0 tank 1338 from BR) put us in contact with Pickfords, who quoted a reasonable price to bring 51218 by road on a low loader to Haworth. This apparently included a journey across Oxenhope Moor from Hebden Bridge. 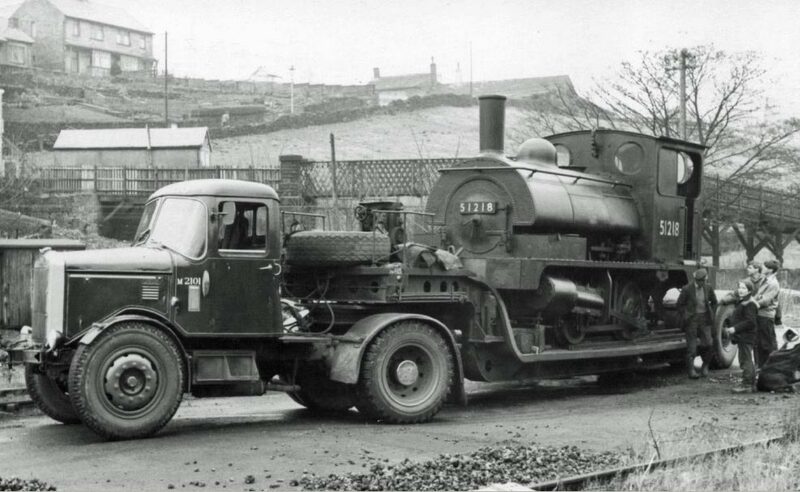 So above you see their Scammell Highwayman VXD 558 ready to unload 51218 as the very first loco on Worth Valley tracks. As well as marking the arrival of this popular locomotive, the photograph also illustrates well how the vista from Haworth Yard has changed with the houses above the footbridge now totally obscured by tree growth over the intervening 50 years. The photograph opposite, taken by D. W. Horsfall of Halifax at about the same time, shows 51218 now offloaded from the lowloader and positioned in front of Haworth Goods Shed. For more information on 51218 and all the rolling stock of Lancashire and Yorkshire Railway Trust, click HERE to visit their dedicated website.